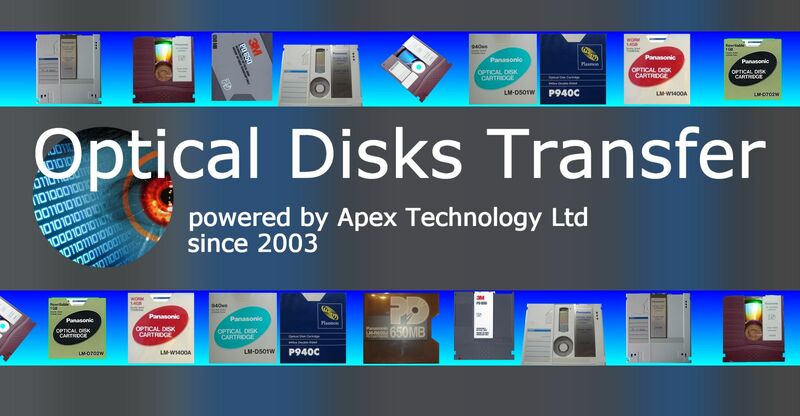 If you need a Optical Disk Conversions service, then contact our friendly company. Panasonic and Plasmon where the 2 big suppliers of Optical Disk technology and often the filesystem used on these disks is proprietary. As we say here, everything in the optical disk world is fine until you reach Panasonic! Their disks are mainly 5.25 inch square and have been used for removable disk archiving in document management systems, electronic filing cabinets, WORM Write Once storage systems and ReWritable disks to expand capacity of limited hard drive systems.